“Are you changing the world?” Is this a ridiculous question or the most important one to be asking? In a time of great change where the future is unknown, many of our reference points for determining success are no longer adequate. We need a context for understanding where we are. We need to understand the difference we are making, and how to measure it. To make a difference for our clients, colleagues or community is to create change. This is what it means to have an impact. Do you know the impact that you are having on your clients, on colleagues in your industry or in your community? Do you have a way of measuring the difference you make? What changes do your customers experience because of your product or services? To understand this is to understand how to manage in a world of dramatic, disruptive change. I look at this from two perspectives. First, by how we define our mission for creating impact? 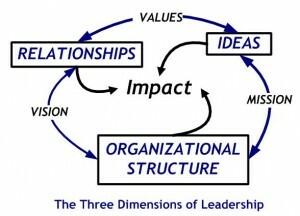 Second, from the perspective of the three areas that every leader must focus on to achieve the impact of their mission. Is my mission to create impact or something else ? 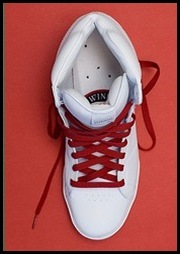 Does it matter why people bought red shoe laces? People have their reasons for doing all sorts of things, so it doesn’t matter why they do it. It does matter that we know why they do it and why our red shoe laces matter to them. To understand this is to understand the difference we are making. Does it matter if we are the leading sales company for red shoes laces? It matters to us. It is a measure of our own success. It matters to our customers only if we are creating a difference that matters to them. This is more than just the customer relationship experience. This how the product is making a difference in their lives. To focus our mission on creating impact raises many questions that in the past were not considered. For example, in the past, red shoe laces were sold to be used in shoes. Today, we can expand the value of the product by changing how it is perceived. We expand the function of red shoe laces according to how our customers are using them. We see how red shoe laces have become a way to decorate a child’s backpack so they are more easily identifiable. We see them being used in a natural disaster, so we develop a variety pack for use in a natural disaster kit. We develop ones that make the boring old name tag necklace more fun. The difference is that we are seeing new ways to make a positive difference for our customers. We help them be safer, connect to others, and have fun. All with red shoe laces. The key to creating impact is to stop thinking of our mission as a set of activities that everyone else is doing, and start thinking about how we can change the world from where we stand right now. Once we begin to think this way, we stop doing non-productive activities and start doing things that we would have never thought of doing before. Am I creating impact through my ideas, in my relationships and through my organization ? Creating impact is not just a change of perspective, but a change in how we function. There are three broad areas that every leader faces. They are the dimensions of ideas, relationships and organizational structure. Let’s look at each one for ways to change that help us understand how to measure our impact. How are my ideas creating impact? Every thought or notion is an idea that has a potential impact upon our businesses. The outcome of any process of thought should be clarity and effective communication. How do you measure clarity and communication? Ask questions to find out. Can your staff state what your mission is? More importantly, can they describe the difference they are making everyday? Being able to do so gives them confidence for expanding their impact. What I find is that people understand what their job activities are, but not always what the impact should be. They don’t understand because they have not had sufficient training and communication to understand it. They may be naturally nice, helpful people so that their relationship with customers is a good one. However, without a clearer sense of the impact we want them to make, they may not see the opportunity for making a greater difference when it is presented to them. This is why leaders must be leaders of ideas. They don’t have to be philosophers. But they do have to be able to present clear, unambiguous vision for how people can make a difference that matters. The better communicator we are, the greater confidence people will have to create the difference that matters. How are my relationships creating impact? In the past, it may have been sufficient for employees to work from a check list of activities, their job description. Increasingly, leaders must develop their leadership capacity for creating impact. Recently I Twittered a question asking how people measured impact. Jeffrey Davis responded, “I measure Leadership impact by the # of my former reports who have ascended to equal/larger roles than I.” Good answer. Are people discovering how to create impact, manage change and make a difference because of your relationship with them? Are you developing leaders or just employing people to do a job. The difference matters. Equipping people to respond to change as an opportunity equips them to lead within their role in the business. This is the impact our relationships with them must have. The difference is seen in their growth in strength and confidence to make a difference in their job and to live better lives outside of work. Leaders build strong organizations and communities through these kinds of relationships. When we move to an impact focus and away from an activity focus, we see how all our connections with people matters. By doing so, we create greater resiliency to face the hardships and challenges that people, their families, businesses and communities are facing today. What is the impact of my organization’s structure? This is a more analytical question than the others. In some respects, it is easier to measure. There are four broad areas to consider. Governance or the policy making and planning function of the business. The programmatic side with includes whatever products and services we offer to the public. The operational or administrative function that supports the programmatic. And the resource aspect, that is principally focused on the financial. Each of these areas needs to be in alignment with our mission and provide us the structure to make a difference. So, we ask of these areas the following kinds of questions. Is our structure designed to fulfill our mission of impact? Does it make it easier for our people to take the initiative to make a difference? Do we have the policies and financial resources to provide us the flexibility to change when needed? Are our products and services creating the impact we promise? Is our operational structure designed to remove doubt and ambiguity about how we make decisions? When there is a lack of clarity about the connection of mission to the work of the business, and people feel isolated and out of the loop because of a poor relationship culture, then the structure begins to become the focal point of the business. The self-perpetuating organizational structure is a common occurrence, and is the source of measuring success by activity, rather than impact. Ultimately, we don’t determine how to measure our impact. We learn it from others. The impact focused business is an outwardly focused one. It is focused on making a difference for people. Discover what they think, and we learn how to adapt our business models to meet the opportunity that they are presenting to us. We may sell a commodity like red shoe laces. But we don’t have to think this way. We can think about creating world changing impact with our red shoe laces. It is not ridiculous to think about changing the world. It is simply deciding to lead by making a difference, and letting that change process lead us to where we need to be. There’s a lot of world changing to do, so let’s get started on our part by creating the change that matters. Tagged with administration, change, difference, employees, financial resources, governance, ideas, impact, leadership, mission, operations, products, program, relationships, services, staff, structure.